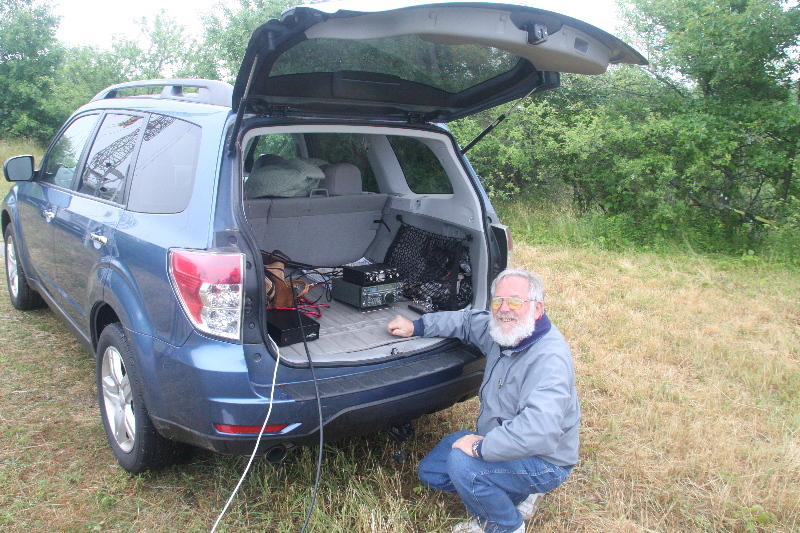 Bob Reif, W1XP, sends a test transmission to the CASSIOPE satellite. 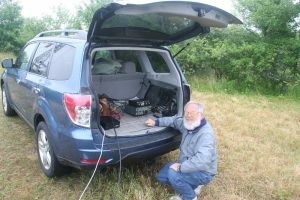 The Nashoba Valley ARC participated in a Ham Radio Science Citizen Investigation (HamSci) experiment with the Canadian CAScade, Smallsat and Ionospheric Polar Explorer (CASSIOPE) spacecraft over Field Day weekend. “’We’re really happy with our results this year’ remarked Dr. Gareth Perry, a Postdoctoral Research Associate in the Department of Physics and Astronomy at the University of Calgary, CASSIOPE’s home institution. ‘The Radio Receiver Instrument (RRI) recorded plenty of chatter between Field Day participants, especially during our passes over the eastern and central United States on the evening of the 23rd’.